Avocado has to be one of the most popular and particularly healthy fruits in the kitchen. Its uses are seemingly endless. However, using an avocado usually means leaving it until the last minute because, once cut, the surface of the fruit quickly turns brown. Avocados have an enzyme called polyphenol oxidase under their skin. Once the avocado is cut, the enzyme comes into contact with oxygen in the air, turning the surface of the flesh brown. 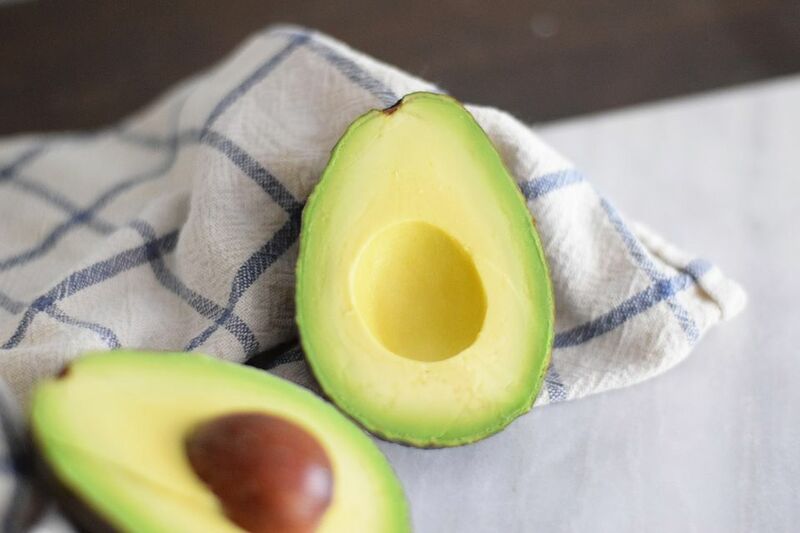 There are several common solutions to this problem, including leaving the pit in the center, covering the avocado with lemon juice, placing a skinless avocado in water, or storing a cut avocado in an airtight container with a cut onion. All of these methods will slow down the browning process, but because they affect either the flavor or texture of the avocado flesh, they are less-than-ideal solutions for many cooks. A better method for preventing avocados from going brown is to blanch the fruit whole before cutting it. Once the fruit is cut, its flesh can be exposed to air for several hours without significant browning. This technique was taught to me over 20 years ago by the famous French-born British chef Raymond Blanc when I attended his cooking school in Oxford, England. I have used this method ever since, and it has never let me down. As Chef Blanc explained, this method works by killing the enzyme that causes browning when the avocado flesh is exposed to air. Fill the pan with cold water and bring it to a rapid boil. Then, fill the bowl with cold water and add a generous amount of ice cubes to create an ice water bath. Use the slotted spoon to carefully drop a single ripe avocado into the pan of boiling water. Start the timer, and leave the avocado in the water for exactly 10 seconds, then remove the avocado, using the spoon. If you boil the avocado for more than 10 seconds, it will start to cook; if you leave it in for less time, the enzyme will not be destroyed. Repeat the same process to blanch more avocados, as needed. Let the water return to a rapid boil for each fruit, and replenish the ice in the water bath as it melts. Your avocados are now ready to be cut or peeled and used in your favorite recipes. They can also be stored, uncut, for later use. Once cut, it will be several hours—typically at least four hours—before the avocado starts to turn brown. Browning may occur more quickly if the avocado was overly ripe before blanching. If you are making guacamole, adding lime juice will help prevent browning even longer. Cover the guacamole with plastic wrap until it is ready to serve. This is a blanched avocado that has been sitting out on a counter for 6 hours after it was cut. There are only tiny specks of brown starting to appear. Even this slight discoloration would stay away even longer if the avocado were placed in an airtight container or covered with plastic wrap.